Ben Stiller directs and stars in THE SECRET LIFE OF WALTER MITTY, an all-audience feel-good adventure that celebrates the true potential in everyone. 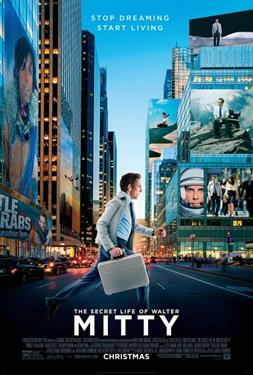 Walter Mitty, an ordinary guy, lives out his fantasies in highly comedic and outrageous daydreams. When fate intervenes, Walter decides to jump into life and heads out on a global journey that turns his real life into an adventure more extraordinary than he could ever have imagined.